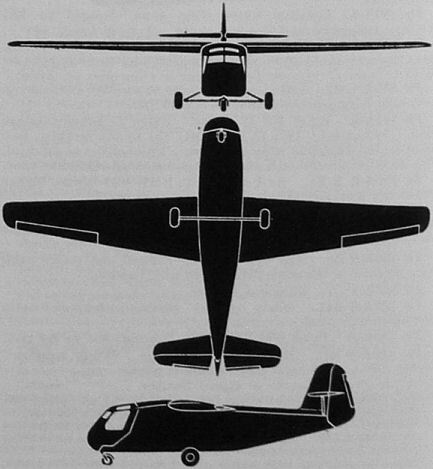 An impression of the Gotha Go 345B freight-carrying glider with upward-hinged nose. It was proposed to suspend two Argus impulse ducts beneath the wings of the Gotha Go 345A assault glider. The Gotha Go 345 Transport Glider.